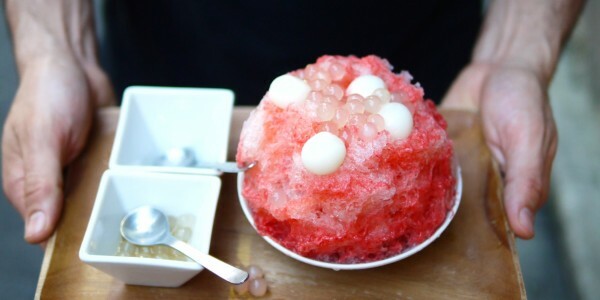 Nestled in Roppongi, this dimly lit kakigori cafe serves towering portions of shave ice topped with syrup, condensed milk and your choice of garnishes (note: kakigori is the name for Japanese shave ice dessert). Known for their long line-ups, Bar Yelo's strawberry flavour contained all the flavour, minus the condensed milk. My choice of toppings here are tapioca and shiratama dango (a type of mochi made with glutinous rice flour). I'm guessing other kakigori cafes serve equally delicious desserts - don't go out of your way for this one as I wouldn't say the ambiance was anything special.